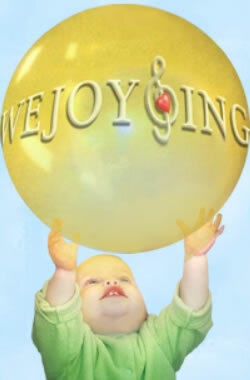 Being a WeJoySing teacher doesn’t just mean playing with children for 1/2 hour weekly. It means you make a special place in your heart that grows to an enormous size as your love for the children blossoms. You become a part of their family and they become a part of yours. This summer, my heart hurt almost as bad as it did when I took my daughter to college. I felt like I was cutting some apron strings, only the apron wasn’t mine to begin with. 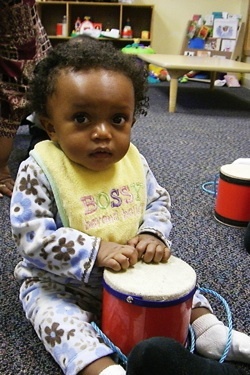 The Townsend family has been a part of WeJoySing for almost 4 years. In those 4 years, I have seen a tiny little 6 week old baby, James, grow into such a beautiful, vibrant and loving little boy....a little boy who can’t wait to sit next to me when he arrives to class. A little boy who always has news to share with all his friends. The one who sings at the top of his lungs when we sing, “I Love My Little Rooster.” And finally, a little boy who loves to kiss my leg while I’m teaching and cries when he waits to take turns being Mrs. Lynnette’s partner. 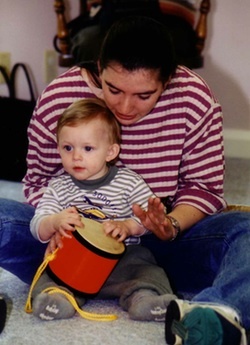 Oh, I love that little boy, James, and I appreciate his love for music....and me. In 4 years, I’ve grown to love my chats with James’ Mom, Carolyn. Our chats were honest and sweet. We would talk about life and how difficult it can be when you are a young mother. Then one day I found myself trying to keep Carolyn safe when she was carrying James’ sister, Lydia. There were some complications as Carolyn carried Lydia but she was determined that James would still make it to WeJoySing. Lydia was born prematurely and I remember fervently praying that she would flourish each day because I knew that a little boy was waiting to take care of his little sister. It was a beautiful day when Lydia joined us in class and then she began her own classes. The dimples that precious princess has are priceless!!! I rejoiced with her family as Lydia got stronger with each passing day. This summer, they came to WeJoySing for the last time. 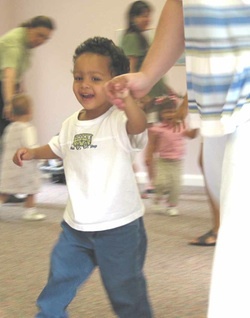 They have moved to New York and the commute to get back to WeJoySing class is just too far! As I waved, and held my tears until they got out the door (Carolyn thanked me for that! ), I felt as though a piece of my heart was leaving, because the more you love the more it hurts when saying goodbye. 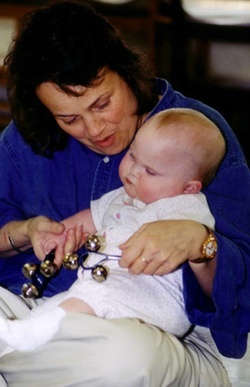 My hope is that the music and joy we shared will continue to grow in their lives and will somehow, keep us connected.